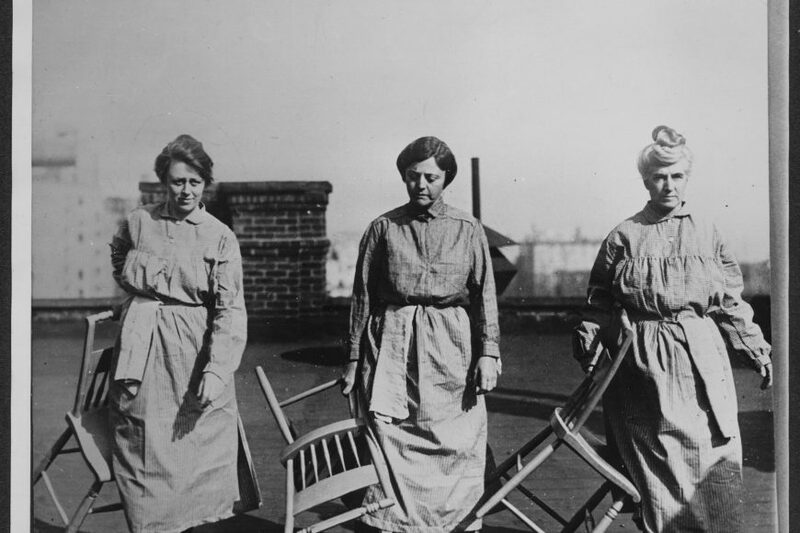 Contributions of women to the foundations of our culture are more clear to us in these modern times. In one aspect in particular: music. Women in rock ‘n roll defied norms and were more rebellious and rambunctious than any male rock group out there. 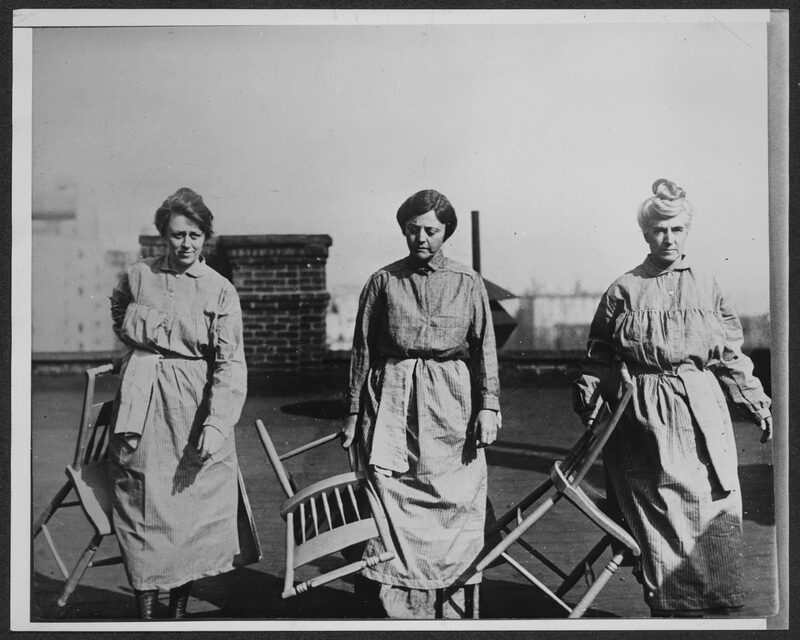 Male musicians grew their hair out but were still allowed ‘a boy’s life’ – whereas women who beat down the door to the rock ‘n roll lifestyle were denounced by all. Still, she persisted. Women’s presence in rock grew over time Artists today such as Valerie June, Hurray for the Riff Raff, and Solange are still pushing the ‘norms’ and creating room for creative women. Three albums owned by the library encapsulate women’s influence in rock over time: Everytime I feel the Spirit by Sister Rosetta Tharpe, Smell the Magic by L7, and The Navigator by Hurray for the Riff Raff. 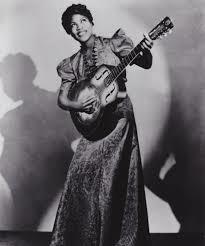 Sister Rosetta Tharpe is considered by some to be the Godmother of Rock ‘n Roll. Tharpe had a musical life from an early age. Performing with her mother in ch urch the two eventually moved to Chicago to make a living with their act. At age 23 she moved to New York City to sign with DECCA records. Nightclub performances in New York shocked many in the gospel community, but allowed her to cross over into the mainstream. Tharpe’s guitar playing outshone many men that were in her league and she artfully blended gospel with blues to create a new sound that influenced artists such as: Chuck Berry, Elvis, and Johnny Cash. She toured in Europe with the success of blues music across the ocean with other acts such as Muddy Waters and Little Willie Smith. Tharpe died in 1973 of a stroke but her life continues to influence both men and women in gospel and rock ‘n roll. L7 is a Los Angeles band formed in 1985. Reaching peak popularity in 1992 with the release of Bricks are Heavy produced by Nevermind fame Butch Vig, L7 blazed a feminist path through the nineties. Fronted by Donita Sparks, an art student, she joined with Suzi Gardner, a fellow student, to create L7. The library owns Smell the Magic released in 1991 just before Bricks are Heavy. Donita Sparks was a controversial female front woman who shocked crowds with her antics. Psychology Today highlighted the work of Donita Sparks in an interview describing L7 as “producing the decade’s heaviest most transgressive songs, combining thrash and punk with wit and raunch, and rejecting conformity in a culture that disparaged individualism”. 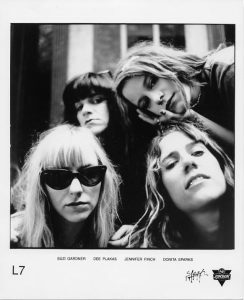 L7 founded Rock for Choice which brought together male and female musicians to raise money for feminist causes. 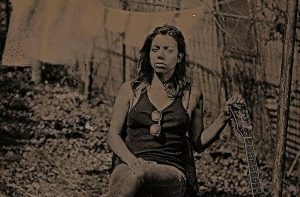 Hurray for the Riff Raff’s (Alynda Segarra) is a unique voice in female rock. Probably considered more in the folk/blues genre, (in truth they all overlap each other and one wouldn’t exist without the other). Segarra is of Puerto Rican descent and comes from the Bronx. Leaving home early disillusioned with life around her she hitch hiked and hopped freight trains until settling in New Orleans busking with a band. The Navigator is her current release (3.10.2017) on ATO records and the library is soon to have a copy..